The amount of though that goes into a bath bomb when Lush create then is incredible. Each product has a story of what inspired its creation and I love nothing more than finding out these back story’s before I use a product. The Mistletoe bath bomb was inspired by a night time trip to the Kew Botanical Gardens in London. The design of this bath bomb is very beautiful and intricate! 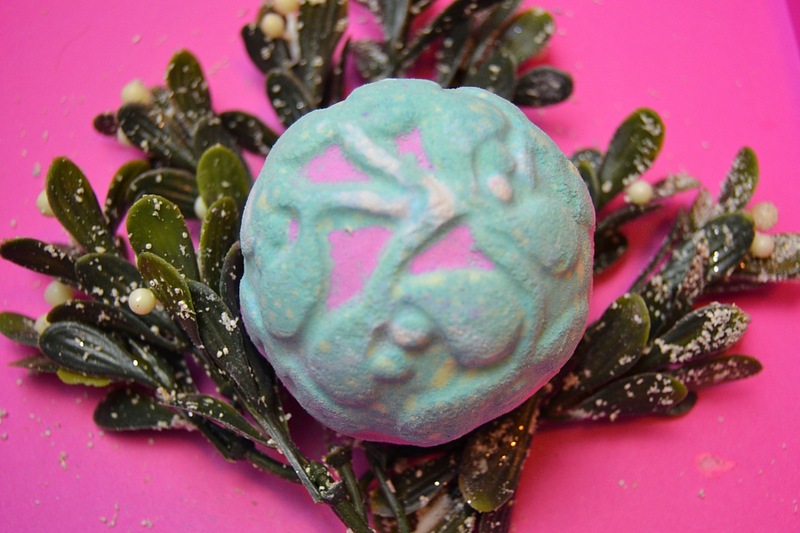 Designed to be very similar to the Rose Bombshell bath bomb which was released for Mother’s Day, the outer shell has a beautiful mistletoe design and is a pretty light purple and mint colour. The Mistletoe bath bomb has a romantic sultry scent. 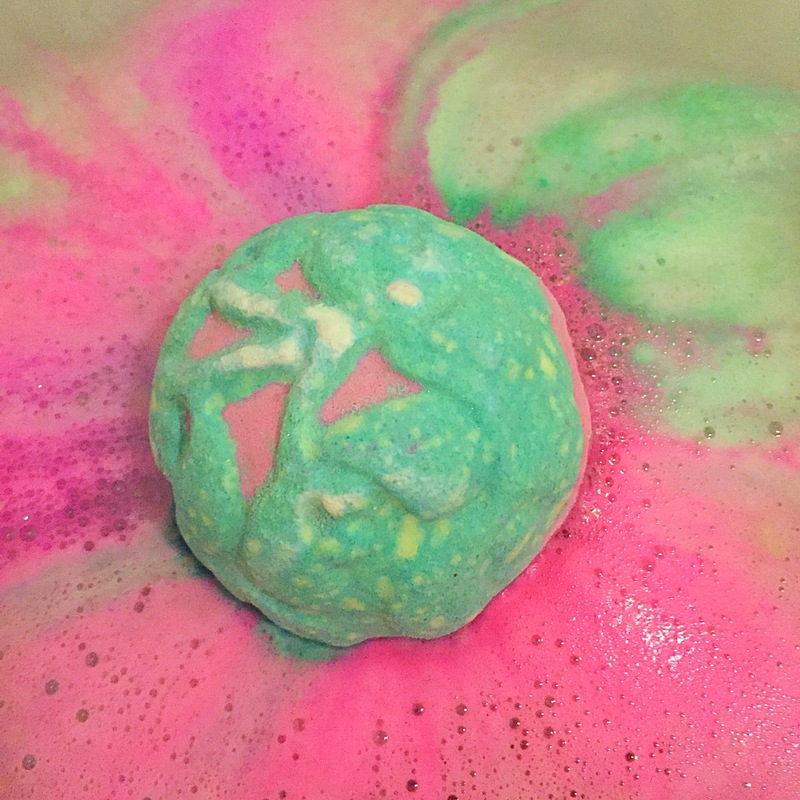 Containing jasmine absolute, ylang ylang oil and vetivert oil this bath bomb has many layers taking you from sweet floral scent to a elegant smoky woody scent. Overall it is a beautiful sophisticated scent and if you like your floral scents you will love this one. 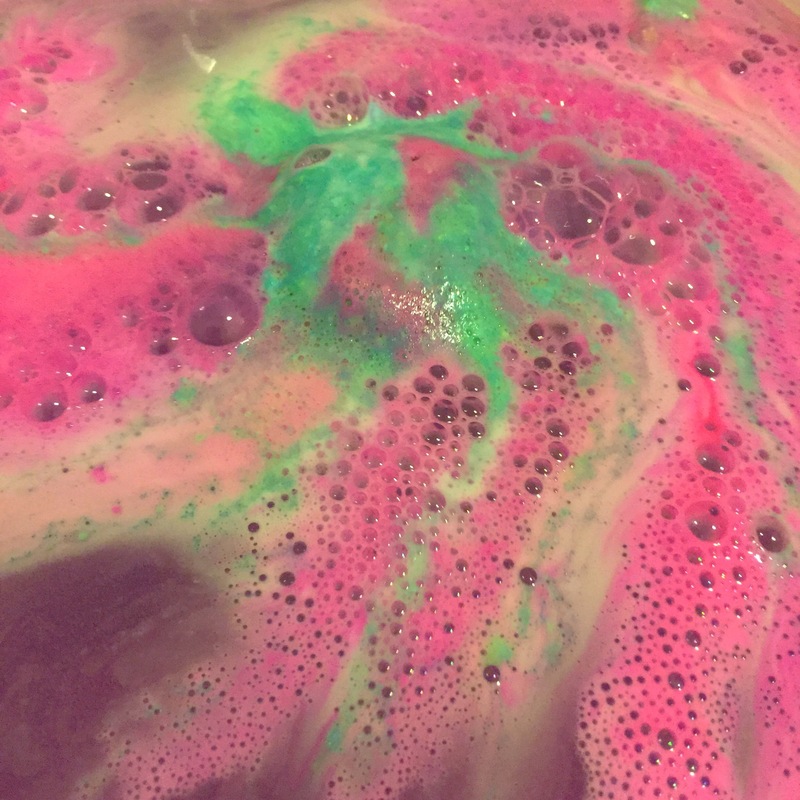 Once in the water the Mistletoe bath bomb started to slowly fizz realising pink and green foam across the surface of the water. As it reaches it core a quick fizzing deep purple centre dissolved releasing a good helping of lustre, Turing the water into a replica of a clear winter sky. 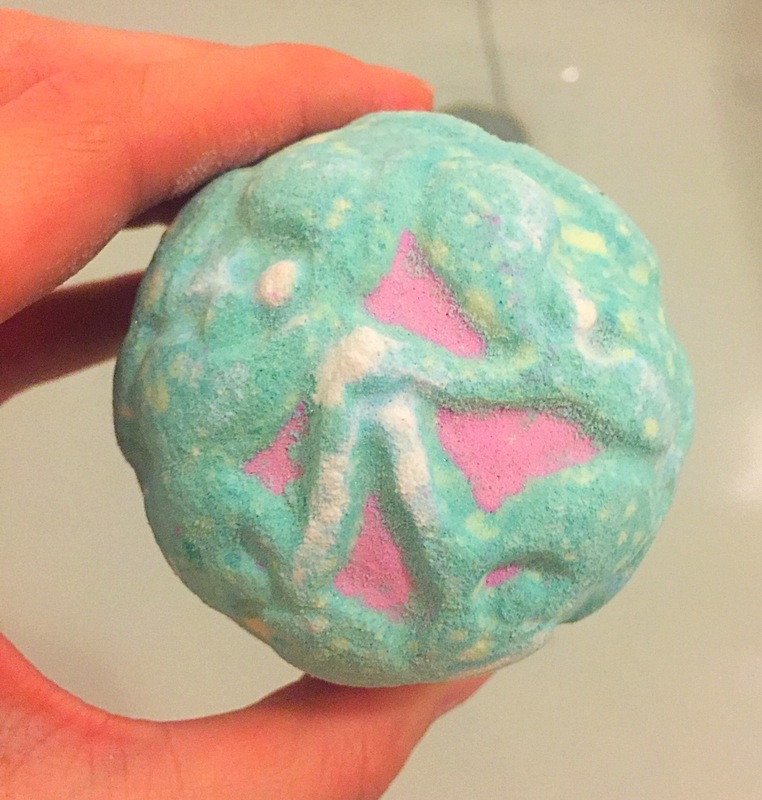 This really is a very pretty bath bomb! It puts on a great show in the water and the scent it very elegant. The Mistletoe bath bomb is a lovely addition to this year Lush Christmas range. INGREDIENTS: Sodium Bicarbonate, Citric Acid, Cream of Tartar, Sodium Laureth Sulfate, Jasmine Absolute, Vetivert Oil, Ylang Ylang Oil, Water, Lauryl Betaine, Propylene Glycol, Hexyl Cinnamon, Perfume, Frosty Holly Lustre, Colour 45410, Colour 14700, Colour 17200, Colour 42090.